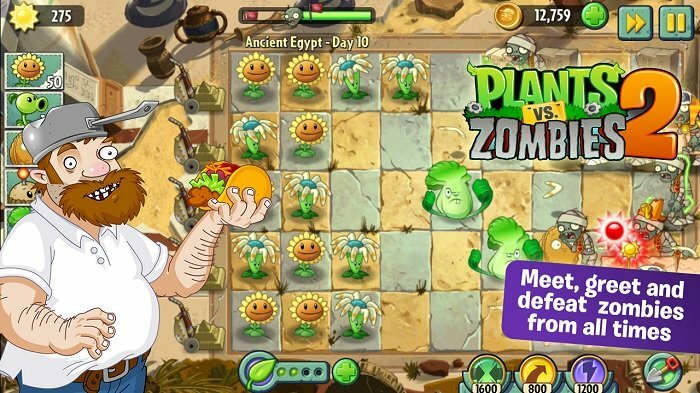 Plants vs Zombies 2 launched on Android a few weeks back, and is available on iOS as well. Recently, the popular title received a major update on both platforms, bringing several new features, new maps and more, to improve the overall game play. Among the most notable changes include an upgraded map that makes game progression a lot quicker and easier. The new map is completely different from the old one with no gates or keys, meaning you don’t have to farm them or pay for them in order to access the next world. Just complete all the levels in the current world to progress to the next one. There’s also a turbo button that speeds up the game, including planting and the zombies. Additionally, there’s a new character the game as well, Gargantuars. Big changes. We’ve upgraded the map to make game progression quicker and easier. It’s simpler to know how much you’ve done, where you’re going, and what loot you’ll get along the way. Play all-new Piñata Party levels to win cool prizes. You can invite your friends and send ‘em gifts. Use the Turbo button to speed up your planting – and speed up the zombies. Be warned: when we were upgrading the map, somebody let in the Gargantuars. You can download Plants vs Zombies 2 from the App Store and Google Play Store.